What is needful? Learning and teaching. Teaching and learning. 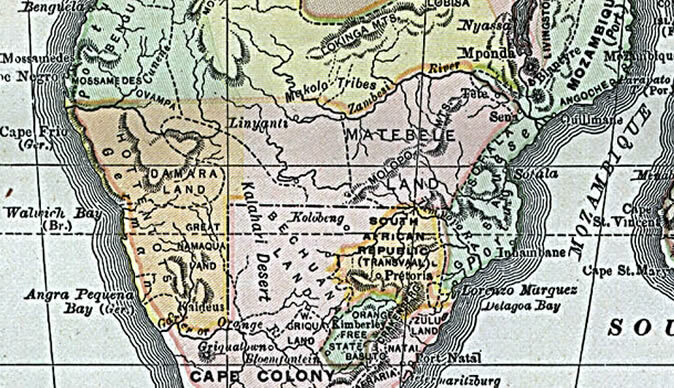 Land, cattle, forced labour, hut tax: here (in 1894) were combustible gases unnoticed by the new settlers in both Matebeleland and Mashonaland. If the whites were planning to produce an explosion they could not… have worked more effectively. Yet the fuse… was supplied by apocalyptic disasters that now threatened the lives of both the Ndebele and the Shona. The fiasco of the (Jameson) Raid sent a shudder through the new Rhodesia. Rhodes had organized it, most of the participants were Rhodesian police and its leader was Jameson, the administrator of Rhodesia. This is the story of The Brick Project which was both built and bulldozed by events in Zimbabwe in 2005. A story of school students and their teachers willing to risk reaching too high in their ideals of world citizenship and global community, thereby setting themselves up for “failure”. A story of teachers and students willing to give of themselves freely and abundantly, despite the often cruel and cynical nature of African politics. A story of witnessing all you have aspired to and worked toward being trivialized, trampled and brutally bulldozed. The Soweto uprising was a devastating event for those like myself, who went to school in Africa. I was at school in Nairobi, Kenya on the day of June 16, 1976. For my own children, the event of 9/11 indelibly defined their childhood. For my generation who attended school in Africa, the day of the Soweto uprising was our 9/11. We were in shock, but life had to go on and so we went through the motions and we went to school that day and the following day – by which time the news had traversed the entire African continent and the whole world. Nobody was talking much, we were in a muddled daze. What I recall is entering my physics class at first period, the morning after the day of Soweto and all of us kids just quietly filing in and sitting down. Nobody spoke – we had nothing to say. These children were protesting because they were being taught Afrikaans when what they wished was to be taught in Bantu. It moved me so profoundly that it was a key decider in my devoting my doctoral research at Harvard to the field of multi-cultural educational curriculum. The effort to separate ourselves by race, creed, color, religion, or status is as costly to the separator as to those separated. Sara Lawrence-Lightfoot has been Professor of education at the Harvard Graduate School of Education since 1972. 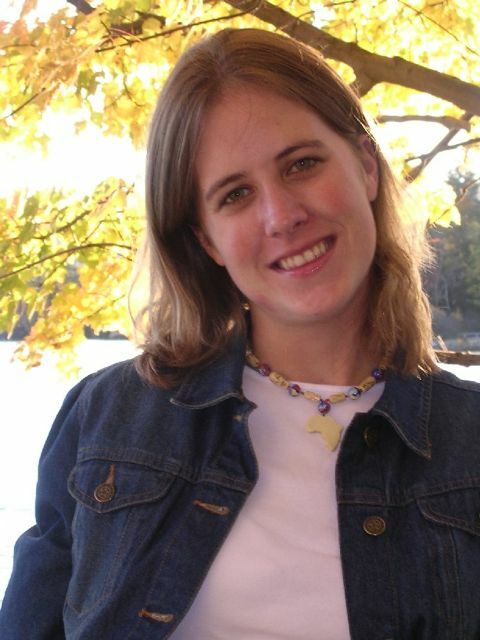 Sara serves as the Chairman of the Board of The John D. and Catherine T. MacArthur Foundation. 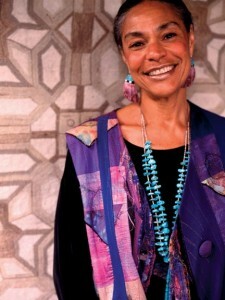 She is a recipient of the MacArthur prize Fellowship. Upon her retirement, she will become the Sara Lawrence-Lightfoot endowed chair; the first African-American woman in Harvard’s history to have an endowed professorship named in her honor. Ten years after Soweto I was discussing the event in Cambridge, Massachusetts with my research supervisor at the Harvard Graduate School of Education, Professor Sara Lawrence-Lightfoot. The context of the discussion between Sara and myself was multi-cultural education and school curriculum. Sara – much like Twesigye Jackson Kaguri (see Jackson’s interview), believes in an holistic approach to education. Sara is a pioneer as is evidenced in her seminal work of almost 30 years ago: The Good High School: Portraits of Character and Culture. 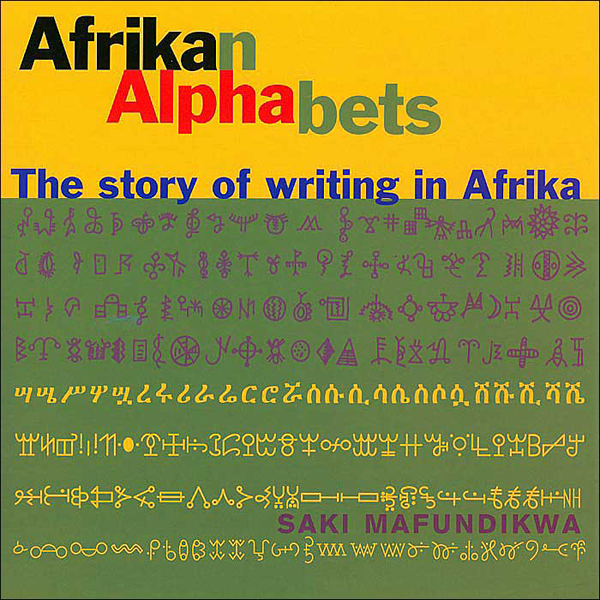 Sara was passionate about the way the rich culture of Africa had been “buried” or simply obliterated by the erudite Europeans who wrote the textbooks on Africa. We required a symbol of the dignity of African culture that (like their need to speak Bantu) had been silenced and misrepresented in History curriculum. 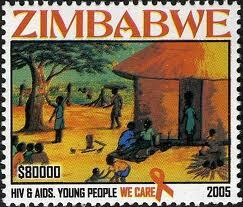 One of many symbols was the Great Zimbabwe at Masvingo (see picture at bottom). One of the great wonders of the world, built stone brick by stone brick. A testimony to African ingenuity and master-craftsmanship. My doctoral thesis The “Brick” Project, celebrated the craftsmanship of The Great Zimbabwe. The first task of The Brick Project was for me to visit The Great Zimbabwe with African schoolteachers and then film these teachers explaining this African wonder of the world. In 1981, five years after the Soweto uprising in 1976, I was staff writer and editor for the University of San Francisco college newspaper, the Foghorn. I had penned a Foghorn article entitled Cell Yourselves about the need to build multi-cultural student clusters or “cells”. I wrote Cell Yourselves in the USF Foghorn staff office on campus. Twenty years after Soweto, in 1996, the concept of “community cells” had evolved into “educational bricks” – the subject of my doctoral thesis. I was now discussing this concept of “bricks” in that same USF Foghorn staff office with two Nobel Peace Prize recipients. In 1996, I was a volunteer on the USF Alumni Board, working closely with Alfred P. Alessandri (Al), the USF Vice President of Alumni Relations. Al in turn, was working with alumni Ralph Lane Jr. to put together a conference on “World Issues”. 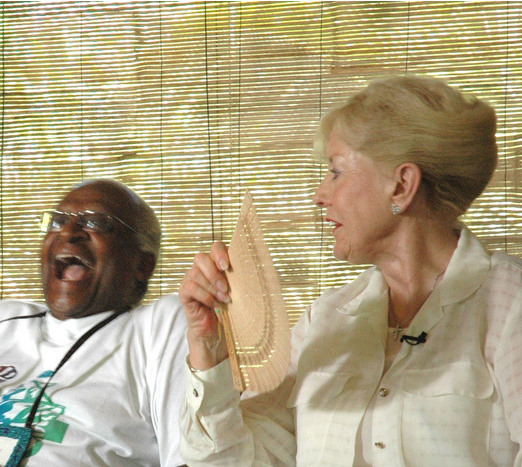 The two guest speakers at this conference were Nobel Peace Prize recipients Archbishop Desmond Tutu and Betty Williams. I opportunistically wrote to the Archbishop before his arrival and requested a 15 minute audience with him and Betty on my Brick Project plans. He and Betty graciously concurred and after the conference Al smuggled us into the Foghorn staff office for a private chat. Betty’s own family had endured much violence due to entrenched cultural stereotyping. Her Protestant grandfather who worked in a shipyard in Belfast, had been thrown into a construction site just because his son was marrying a Catholic. She also had one cousin killed by a Catholic and another by a Protestant. Desmond Tutu cited the example of the Hutu and the Tutsi in Rwanda – in 1996, we were just 2 years into the genocide in Rwanda. Young Hutu children were being taught to characterize the Tutsi as “cockroaches”. The true value of the Brick Project in their view, was to break down these stereotypes which can sometimes lead to misunderstandings, sometimes with violent consequences. Moreover, working with middle school aged children (9 to 14 years old) was optimum since it meant that these stereotypes would be broken down in their formative stages. “You know something Betty – I have lots of fans around the world – so unlike you I do not need to carry a fan around with me…” – he then burst into a very delighted hyena-like cackle! In 1996, after the advice from Desmond Tutu to build our First Brick with a Zimbabwe corner, I contacted my teacher during my graduate studies at MIT Media Lab – Glorianna Davenport. Glorianna had met a Yale School of Art graduate from Zimbabwe who wanted to start a Media Lab-type school and had recently met with her and Nicholas Negroponte at MIT. His name was Saki. Saki Mafundikwa found me Arundel school and Porte Farm – he opened wide the gateway to Zimbabwe for The Brick Project. Saki and I first met in 1996 in San Francisco’s Embarcadero Center. It was an instant combustion of productivity. We both cherished the pioneering work of Wangari Maathai and we both aspired to see more women creating policy in Africa. How to begin? How to build the educational support? The obvious place to begin was a private girls’ school where future policy-makers are groomed. Our intention was to depict smart, savvy, articulate young African women who would be the future doctors, lawyers, engineers, corporate executives and policy makers. Women who can work toward the ideal that Africa can eventually take care of herself and not require hand-outs. Africa needed more women leaders like Wagari Maathai and the future Ellen Sirleaf Johnson. As a visual and oral storyteller himself, Saki was a wealth of knowledge in this vital value of The Brick Project curriculum. I explained to Saki how one of our advisors, Jeremy Geidt, invited South African playwright Athol Fugard to Yale in 1984, while Jeremy was teaching at the Yale School of Drama. Fugard’s play, Master Harold and the Boys, was banned in Apartheid South Africa and so Yale Rep founders Jeremy Geidt and Robert Brustein invited Fugard to New Haven to stage his banned play. Saki, it turned out, was just completing his Master of Fine Arts degree in graphic design at the Yale School of Art and was in the audience when Fugard’s play was staged! 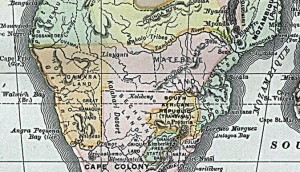 The Zimbabwe school for the First Brick (with the American, Lithuanian and Indian schools) was Arundel Girls’ School and the headmistress at the time was Gil Alcock. Arundel was a private girls’ school, one of the most competitive schools on the African continent. The empowerment of women and the nurturing of progressive African women leaders was an aspiration that both Desmond Tutu and Betty Williams expressed when I met with them. Arundel was precisely the kind of school they would have advocated for this purpose. The Brick Project Global Co-ordinator, Verity Norman worked closely with Saki Mafundikwa at ZIVA and Geography teacher Shepherd Urenje at Arundel to build the paper-making project. Together with the Founder/Director of ZIVA (Zimbabwe Institute of Visual Arts), Saki Mafundikwa, Verity, Shepherd and Gil developed the Porte Farm Paper Making Project. After we secured the commitment of Arundel school, headmistress Gil Alcock attended a conference in Cape Town with Desmond Tutu and informed him that Arundel students were now working on field projects with Porte Farm. The Archbishop was delighted! That this local shanty community, populated mainly by widows and orphans, would have a sustainable form of income. 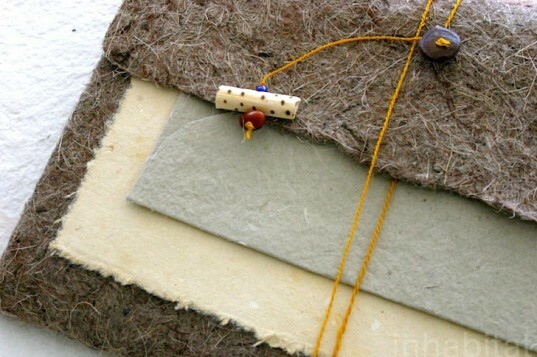 This was accomplished through making paper at Porte Farm from biodegradable waste products such as water hyacinth, banana leaves and corn husks. The artistic paper was then sold to high-end art stores in the USA which fetched a healthy income for the Porte Farm community. By having the privileged private school girl students at Arundel visit with and help out at Porte Farm, these students expanded their knowledge of Art, Ecology and Economics. It was an excellent example of what could be accomplished through creativity and innovation. The community at Porte Farm made beautiful paper and paper products which sold well in the USA and brought them enough income to feed the community. 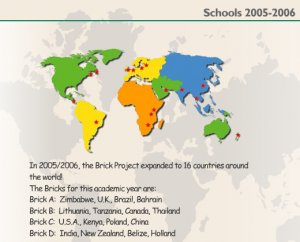 The expanding Brick Project community – which eventually grew to 16 schools around the world – all supported and studied the activities at Porte Farm, Zimbabwe. 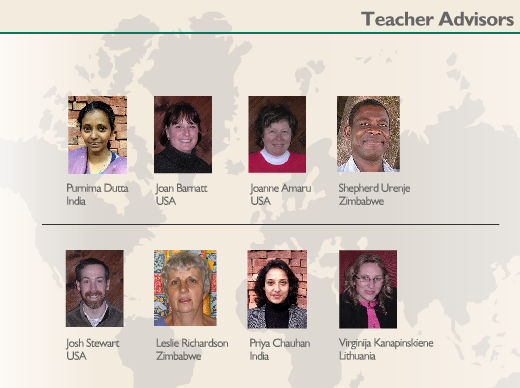 While my team of Brick Builders and I built more and more bricks with more and more schools around the world, the Teacher Advisors helped develop new curriculum models. They were knocking down the old paradigm of Curriculum Central Planning. School curriculum is traditionally built centrally by people in America or Europe, usually in an Ivory Tower. It is no wonder, for example, that History or Art Curriculum rarely mentions one of the great African wonders of the world – The Great Zimbabwe at Masvingo. The European history books on Africa were written with a Western bias, and Curriculum Central Planners robotically regurgitate this into school curriculum without any cultural sensitivity. The Brick Project Curriculum Builders – Teacher Advisors – were pioneering new models of curriculum for our schools. They created lesson plans on Art, Literature, Ecology and History. In the USA, Joan Barnett, Joanne Amaru and Josh Stewart were steadfast in their dedication to keeping the lines of communication open with the schools in the Brick Project community. Thereby, they built a global consensus on new ideas for lesson plans and school field trips. As we compounded from the First Brick of 4 schools to 16 (4 x 4) schools, the logistical coordination between teachers and students around the world became a formidable task. This task was overseen with precision by Verity Norman who coordinated with all the teachers and students and traveled to many of the locations. Verity met and worked with student and teacher groups from the UK to Kenya to India to Lithuania to Zimbabwe. Her objective was to maintain the flow of curriculum content in the subjects of History, Ecology, Art and Literature. Verity, who was born in South Africa, has a B.A. degree in Literature from University of Cape Town (and a U.S. M.Ed). She made a documentary for our Literature curriculum on the Zimbabwean writer and playwright Charles Mungoshi. Her documentary film’s focus was a story from Mungoshi’s short story collection entitled Coming of the Dry Season. Mungoshi also taught Brick Project Master Classes at Arundel Girls’ School. He read and discussed passages from his award-winning books. Verity edited videos of these school discussions and shared them with all the Brick Project teachers and students around the world. By 2006, The Brick Project was active in 16 countries and working with 100’s of schoolchildren world-wide. For History Curriculum, Verity and I made a film on The Great Zimbabwe at Masvingo with Arundel teacher Shepherd Urenje. Verity also made an Art Curriculum documentary film. This educational documentary was on Zimbabwean Shona Sculpture. Verity featured five renowned Zimbabwean sculptors. The documentary short was narrated by the then Arundel art teacher, Odiolla Varanusara. Arundel students visited the Zimbabwe National Gallery in Harare, as well as the home and outdoor studio of renowned Zimbabwean sculptor, Dominic Benhura. For Ecology Curriculum in Zimbabwe we made a documentary on the biodegradable paper-making process at Porte Farm. The paper was made with 100% recyclable waste products. Porte Farm was the conscience, the heart and the soul of the Brick Project. Within our global community, these were the people that were most economically marginalized and living in the most hardship conditions. We all pulled together for Porte Farm, thinking – in our own myopic way – that we were giving them support. What we learned over and over is that it was the community in Porte Farm, through their sheer pluck and determination, that gave us more strength and hope than we could ever offer them. They embodied the idea of “sustainability”. They were not looking for hand-outs, they were making and selling beautifully crafted paper products at a fair market value. PORTA FARM, Zimbabwe, 27 July 2005 – Twenty-four hours after UN Secretary-General Kofi Annan’s Special Envoy on human settlements, Anna Tibaijuka, called for an immediate end to demolitions and evictions in Zimbabwe, thousands of people at Porta Farm – a settlement 20 km from Harare – watched helplessly as bulldozers destroyed homes, the second time in a month. Sixty-four year-old Marume, his wife and their five grandchildren spent three weeks in Caledonia Farm, before it was abruptly closed. He then brought his family back to the ruins of Porta Farm where he started to rebuild. Forty-eight hours later the bulldozers returned. “What am I now supposed to do?” asks Marume. They have an extraordinary capacity to see into the heart of things and to expose sham and humbug for what they are. My school, Cape Cod Lighthouse Charter School, is devastated by the news that our dear friends in the Porte Farm community in Zimbabwe have been evicted from their homes. Also, their homes have been flattened and then burned so they cannot go back to them. We have been working with these Zimbabweans for the past year through the Brick Project. They are our friends. Can you please send a reporter over there and find out what is going on? Please? I have been looking through the newspapers today and most of them are more interested in Jennifer Lopez than what is going on in Zimbabwe. How can young people like me learn about the world if all the newspapers do is write about Jennifer Lopez? This is urgent! Please send a reporter to Zimbabwe to find our friends who got thrown out of Porte Farm. I don’t think I’m yet peaceful. I have to struggle every day within myself when I see the suffering of the people of the world, the women and the children. We are students at Doon School here in Dehra Dun hill station and we are part of The Brick Project global community of schools which includes a project with an impoverished rural village in Zimbabwe. This village is called Porte Farm, and the inhabitants therein have had their homes bulldozed and burned. This is a travesty of the highest order. We urge you to send a TOI reporter to the site of this atrocious violation which has been predicated by the Zimbabwean police and army - the very same people who have been entrusted to maintain law and order in Zimbabwe. If you have any further questions kindly contact our deputy headmaster Mr. Jayant Hari Har Lal. Verity Norman, Brick Project Global Co-ordinator, asked all the students how they would like to respond to the brutal, barbaric, bullying human rights violation in Porte Farm. The students elected to write to national newspapers and urge editors to send a journalist into Zimbabwe. This was an intelligent and innovative response by the Brick Project students to a global crisis. One of the newspapers to respond swiftly was The Boston Globe. They sent their South African correspondent John Donnelly undercover to Zimbabwe to find out what had happened. HARARE, Zimbabwe — Against great odds in this disintegrating country, six poor women pulled themselves out of poverty. A Cape Cod store sold their bookmarks and greeting cards made from cardboard and banana leaves. And two schools — one in Harare, the other in Orleans, Mass. — followed their progress keenly and offered support. Then, the government bulldozed the women’s homes, along with those of 1,500 other families, in the settlement of Porta Farm outside the capital, while targeting what it called illegal shantytowns. Nationwide, the demolitions have left 700,000 people homeless. The women scattered. Their work stopped. Students in Massachusetts and Zimbabwe, crestfallen, felt all had been lost. But, not all was — especially not the women’s spirit. 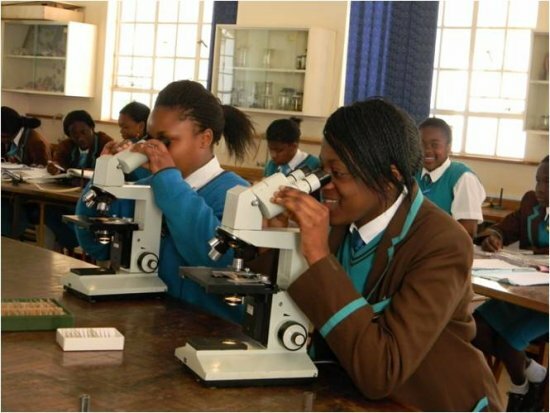 Unknown to the students until a few days ago, the women managed to save their equipment and supplies and to stick together, moving to another dusty plot outside Harare. The Cape Cod middle school became involved through a Cambridge-based school-learning program called the Brick Project, which through the Internet linked the Massachusetts middle- schoolers with those from Zimbabwe, Lithuania, and India. Students in Harare’s Arundel School had learned about the women during visits to Porta Farm, and their shared information motivated the Cape Cod students to help. “I was very, very upset because the women were finally getting on a better track, and now they would have to start from scratch,” Rachel Lake, 11, a seventh-grader, said in an interview from the Orleans school earlier this month, before the Zimbabwe women were located. The Cape Cod students, cheered on Friday to learn that the women were safe, are talking about a new fund-raiser for them. “Instead of giving up, they are looking forward to the future,” said Lake, the seventh-grader. As seen from the above Boston Globe article the teachers learned the depth of concern 7th graders like Rachel Lake and 8th graders like Andrew Smith held for Porte Farm. In Harare, Zimbabwe, we learned that several of the Arundel girls experienced shifts in their perspective and aspirations. Samia, 13, had aspirations to become a corporate lawyer in America. After visits to Porte Farm she said she was switching to human rights law. Another Arundel student now wanted to work for Doctors Without Borders. 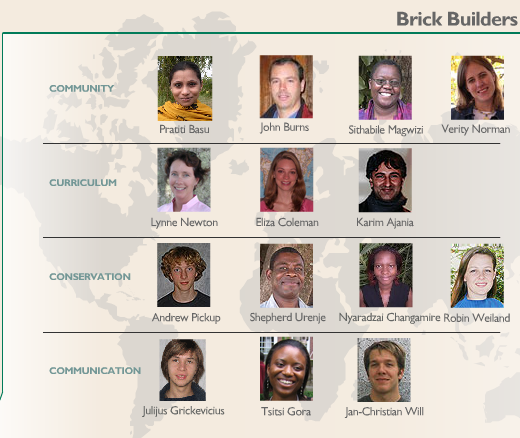 We learned that school curriculum around the world has a systemic challenge: it is often archaic or myopic; the Brick Project Teacher Advisor’s pioneering work in developing multi-cultural curriculum engaged students and made learning dynamic and alive. We learned that technology is a valuable tool for building global school communities as long as it enhances a shared set of core community values amongst the stakeholders. If you have built castles in the air your work need not be lost. That is where they should be. The most important lesson I learned is that a global “community” is authentic to the extent that it is inclusive of those that are economically marginalized and politically violated or displaced. Although I had built a robust model with the Brick Project, it was not strong enough to withstand the blowback of the tragic events in Porte Farm. The girders used to construct the model needed to withstand and respond to the gusts of social injustice and human rights violations as they pertained to people such as the Porte Farm community we all embraced. So now it is back to the drawing board to build a stronger and deeper foundation. When the Zimbabwe police bulldozed and burned and buried the homes of our friends in Porte Farm they also did bulldoze the morale of all the Brick Project students around the world – they turned our school bricks into rubble as well. The students did not know how to handle this trauma and they did not know how to rediscover and regenerate their enthusiasm for sustainability initiatives like this one in Zimbabwe. The experience was so very harsh for them because they had so much affection for the people in Porte Farm. The pain the Brick Project felt for the people in Zimbabwe paled in comparison to what Desmond Tutu must have felt. He had seen South Africa live through violent atrocities, gain gritty hard-won freedom and then go all soft and mushy in the middle. He was not amused. “We Africans should hang our heads in shame. How can what is happening in Zimbabwe elicit hardly a word of concern let alone condemnation from us leaders of Africa? Let us forget the Soweto schoolchildren. What they marched for. What they stood for. What they died for. Let us just consume, and consume, and consume, and consume. It does concern me that South Africa’s incredibly rich and political history is being forgotten in the rampant, excessive, dumbed-down, all consuming drive to be global. We’re suffocated by fast food, fast money, and fast people; and are losing all memory of ourselves, our identity and our culture. In 2006, in the aftermath of the devastation of Porte Farm, I was sitting in the Brick Project classroom in Cape Cod with Joanne Amaru and Joan Barnatt during our lunch break. I had a backlog of emails I was sifting through when I recognized a familiar – but infrequent – name of an email correspondent from South Africa. Thank you for demonstrating that we live in a moral universe where goodness prevails despite its ghastly counterpart.